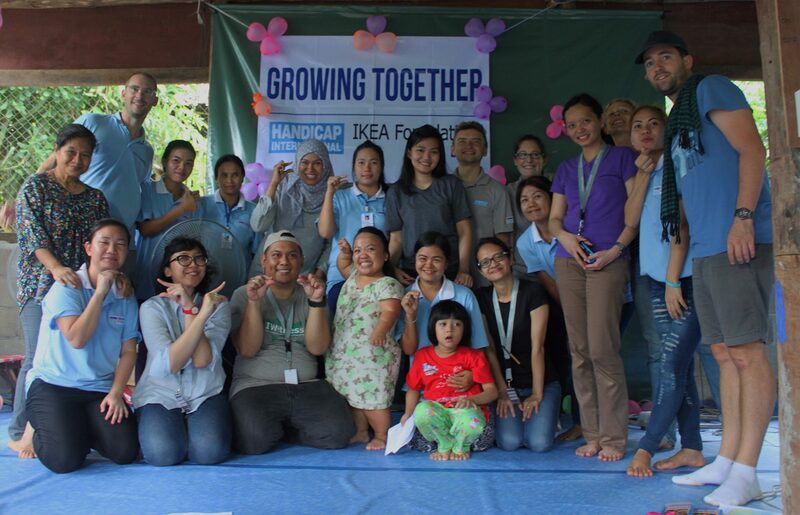 IKEA INDONESIA'S TRIP TO THAILAND Written by Maryam Jamilah. Today is the second day of the IKEA Indonesia IWitness team’s visit to Mae Sot, Thailand. We spent the day in Umpiem Camp, one of nine refugee camps in Thailand. Umpiem Camp is the second biggest refugee camp in Thailand, with population of 11,606 people, mostly Karen and Burmese. We are co-ordinating this visit with our friends in Handicap International (HI). The lovely HI team—Alexey, Jodie and Diana—picked us up at 8am at the hotel to go to Umpiem camp. The trip to the camp took us almost two hours’ drive. Views of beautiful calming mountains and green hills amazed us along the road. We had no traffic but it was such a meandering road. View on the way to Umpiem Camp. Photo by Sylvania Octaria Sinulingga. The first thing we did was register ourselves at Umpiem Camp checkpoint. After registering, we continued to drive up to the hill where the HI office is located. We were introduced to Art, the Project Officer, and the other HI staff. The HI team presented information about their project in three different countries; Bangladesh, Thailand and Pakistan. They are doing the Growing Together project, that started on 1 June 2016 and will end on 31 May 2020 (48 months), supported by the IKEA Foundation through the Let’s Play for Change campaign. Their main objectives are to support communities in raising socially and emotionally healthy kids, both in the camps and the host communities. Moreover, they want to create opportunities for children with disabilities and other vulnerable children, aged from 0 to 12, to learn and develop safely while also having fun with using “play” as the key driver. With children of Umpiem Camp. Photo by Maryam Jamila. After the presentation, we had the chance to take a look around the camp with Phoung Noon and Lah Doh, the HI staff at the camp. Rain and a slippery road did not discourage our enthusiasm to continue our journey. Lah Doh informed us about some facilitation they have in the camp. Some NGOs provide training, school staff and medical staff. Umpiem camp doesn’t have a hospital but a doctor from Mae Sot visits the camp two to three times per week. Common diseases that the refugees are prone to are dengue fever and diarrhoea, because of the water, the environment and the food. View at the Umpiem Camp. Photo by Mahargian Maulidi. Houses at Umpiem Camp. Photo by Mahargian Maulidi. We continued our trip by having a toy-making workshop with some children who are not yet in school, along with their parents, at the camp. The children were so shy at first but after the ice-breaking session, they started to have some fun and relax. We were so grateful and happy to see the excitement and happy faces of the children when we did the workshop. Their happy faces definitely faded our exhaustion away! Toy-making workshop. Photo by Lucas Veuve. On our second day at Umpiem Camp, we presented some activities for the children who study at school. We started with an introduction, and we had some fun dancing with the kids with a really catchy song, the Baby Shark song. Everybody had a lot of fun. 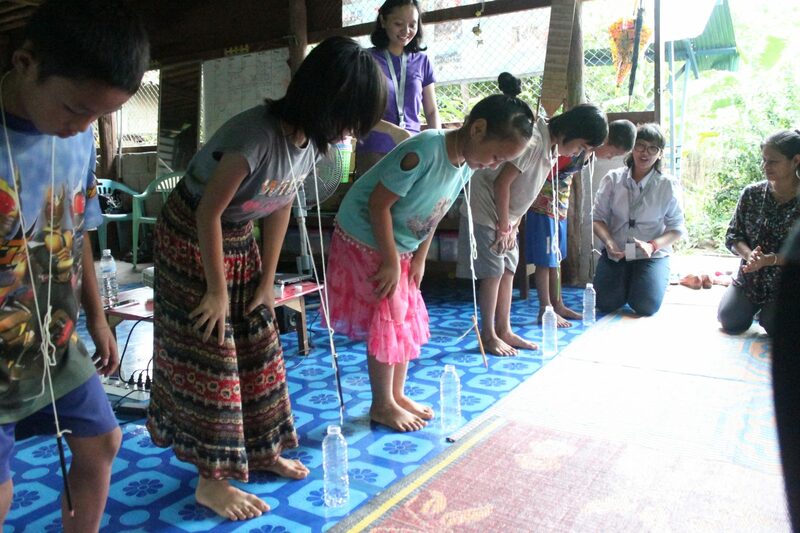 We did a fun game before lunch, a guessing game, as well as another group game where I learned a Karen children song! Art presented and informed us about disability, with help from Anggi, the HI representative from Indonesia. We learned that a person with a disability faces a ten times bigger challenge and risk in their daily life. We had a chance to experience what it is like to be a person with a disability by doing a roleplay with various types disabilities. It really opened my eyes to know how hard it is. And I really respect them for how strong they are to live their life. 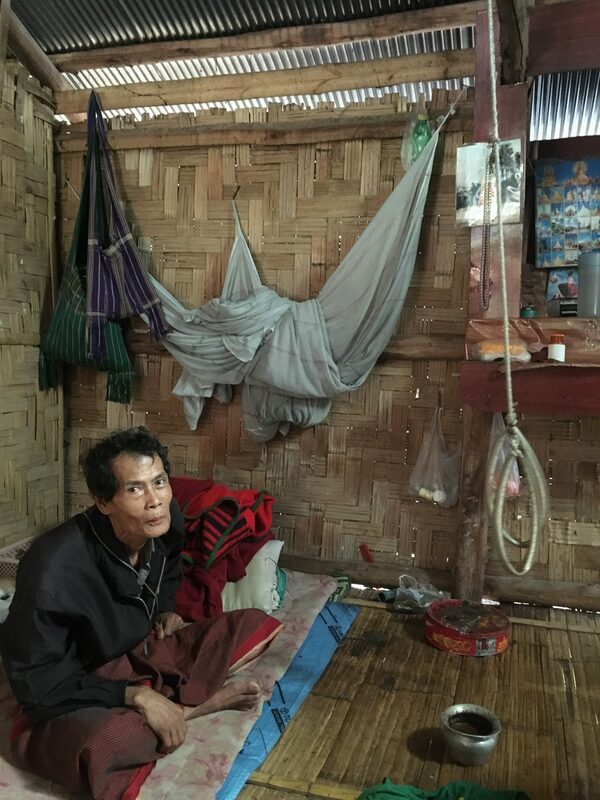 Our last session of the day was home visit to Win Thein’s home, a 61-year-old man who lives in Zone A at the camp. We were accompanied by Eh Htoo Say from HI and Saw Plosay, our Karen translator. Win Thein lives with one son, one grandson and one granddaughter. His other children live in Bangkok to work, and visit him once in every two years at the camp. Win Thein has a problem with the right side of his body and he has barely been able to use his right arm for six years. He couldn’t walk normally, because he has different foot length. It makes him stay at home for most of the time. HI helps him by providing some equipment for him to use for his physical therapy at home. Win Thein on his bed. Photo by Maryam Jamila. Win Thein’s house. Photo by Claudia Yessie Sekartaji. 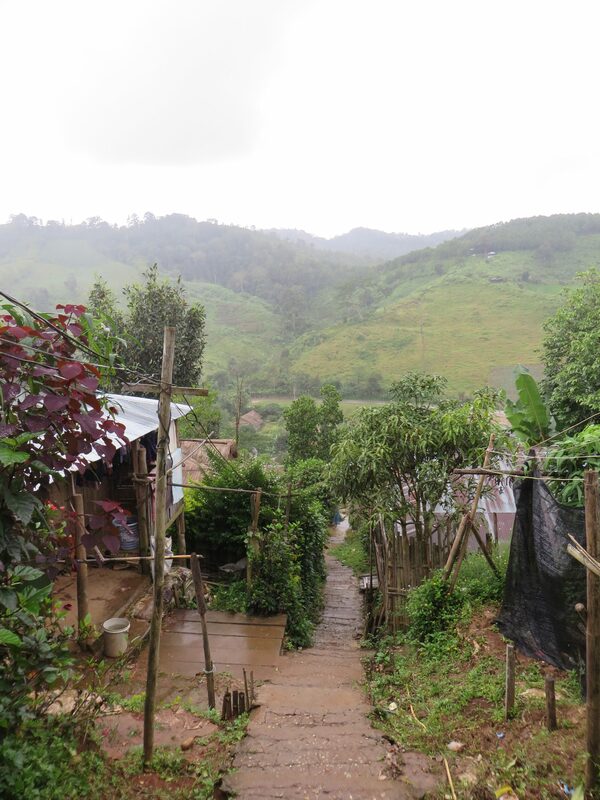 We spent our third day at Mae La Camp, the biggest refugee camp in Thailand. The camp is closer than Umpiem Camp; the view on our way to it was breath-taking and it was more accessible without so many winding roads. When we arrived at Mae La Camp checkpoint, the pre-inspection was more detailed. 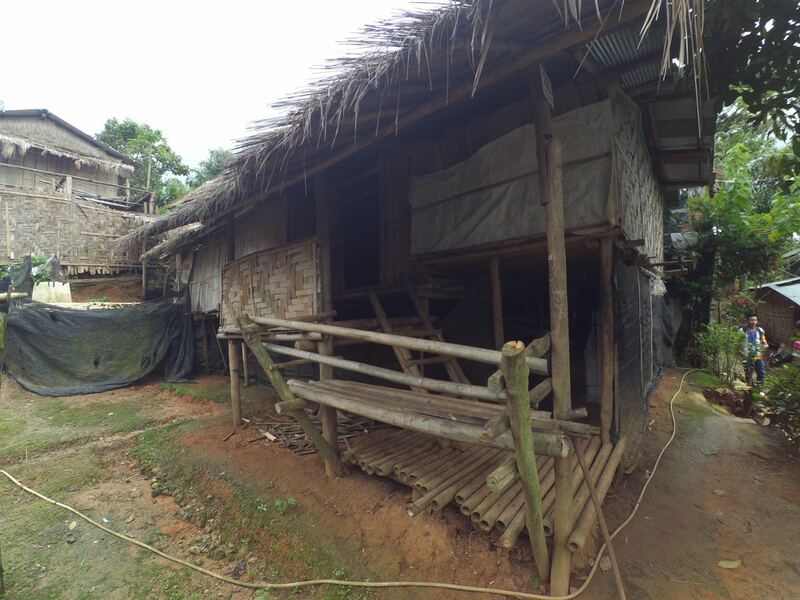 We continued our trip and walked for a while to the HI office inside the camp, because it is not accessible by car. Mae La Camp has better facilities than the other camp. In the HI office, they provide some toys and also a trampoline for the children to play on. We met more children here, and we were surprised that the children are really active and have great initiatives. 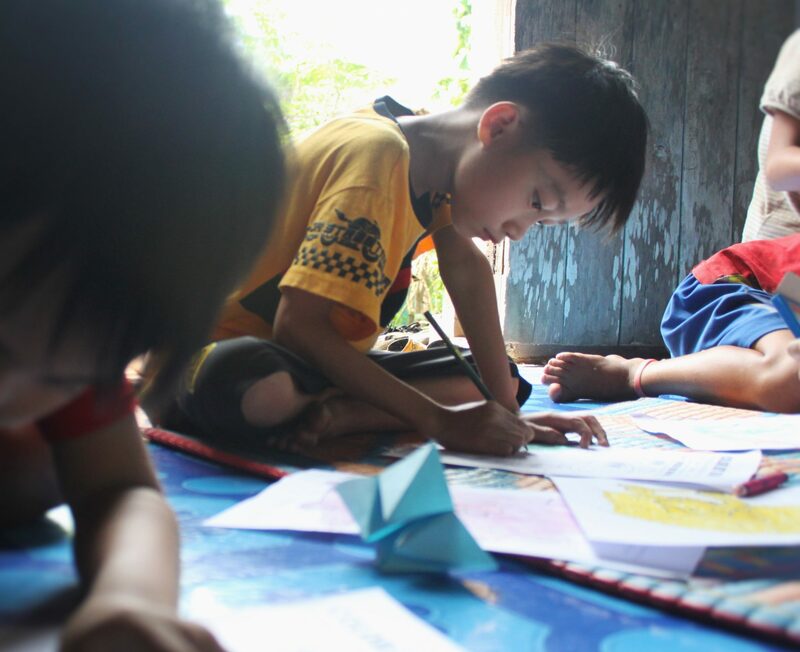 We spent the day by doing some Baby Shark dances, colouring activities, and we also played an Indonesian traditional game, ‘Put the Pencil in the Bottle’, in addition to making paper origami. We had fun and a really good day. Children playing ‘Put the Pencil in the Bottle’ game. Photo by Mahargian Maulidi. Colouring activity at Mae La Camp. Photo by Mahargian Maulidi. 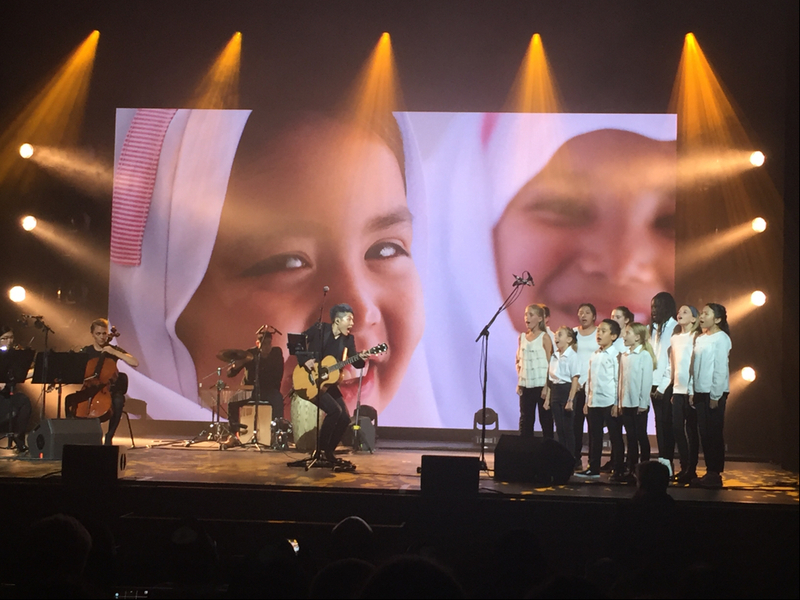 It was a pleasure and I am so grateful to have had a chance to experience this amazing trip with IWitness, the IKEA Foundation and the Handicap International team. It was a life-changing experience: it opened my eyes to have more awareness about people with disabilities, and also people in need, especially children. Thanks IKEA! Hej everyone! I am 26 years old and have been working for IKEA Indonesia for three years, in IKEA Food as a Team Leader for the first year and now as In-Store Marketing Specialist. I love baking and cooking for my loved ones in my free time, besides watching movies. I also joined some social communities as a volunteer in the educational and health field. Through the IWitness programme, I am sure that it can help me reach a bigger scope to help more people. Because I believe that one of the most important things, as a human being, is to help each other.